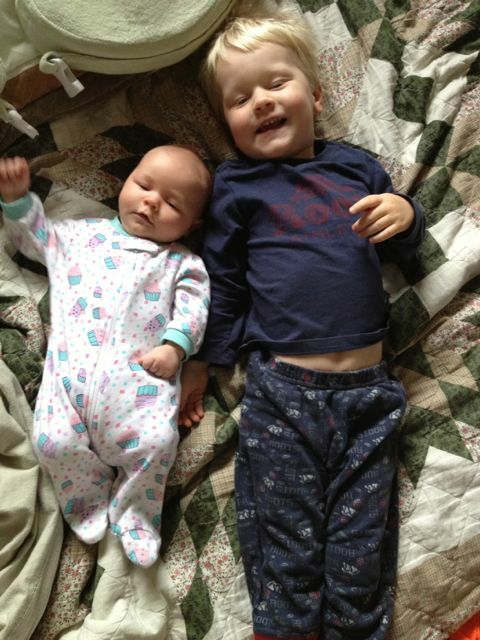 Your wee ones are just gorgeous! No wonder you can get so absorbed in them. Thanks, Courtenay! I love that story about the falling-asleep moment – is there anything more beautiful? How old are your twins? This is just beautiful. I couldn’t have said it better myself, and believe me, I’ve thought about it a lot. Of the posted list, I especially like “express gratitude” and “learn to forgive” – the first makes you focus on what’s good (my mom was particularly adept at this) and the second makes you give up focusing on what isn’t. I have to say, it definitely increases a mother’s happiness quotient to read something like this written by one of her children! Thanks, Mama! I’m glad this could make you happy. 🙂 I liked “learn to forgive” also, but my musings on forgiveness would be a whole other blog post. I’m not sure you can just decide to forgive someone, although you could probably learn, as this suggests, given time. Such beautiful kids! I, like you, have been lucky to have an easier starting place for happiness. It’s still easy to get caught up in the rat race. It’s easier for me now, since I stopped working 2 years ago (at least when the kids are in school – otherwise I’m an on call taxi!). Thank you, Stacie. I can remember my mom doing the taxi thing, too – there were four of us, all with at least two activities outside of school… it was an incredible amount of organizing and ferrying. We still owe her for that, as far as I’m concerned. Love this post. I am one of those people who, through the journey of my experience did not get all the bases covered as you put it. 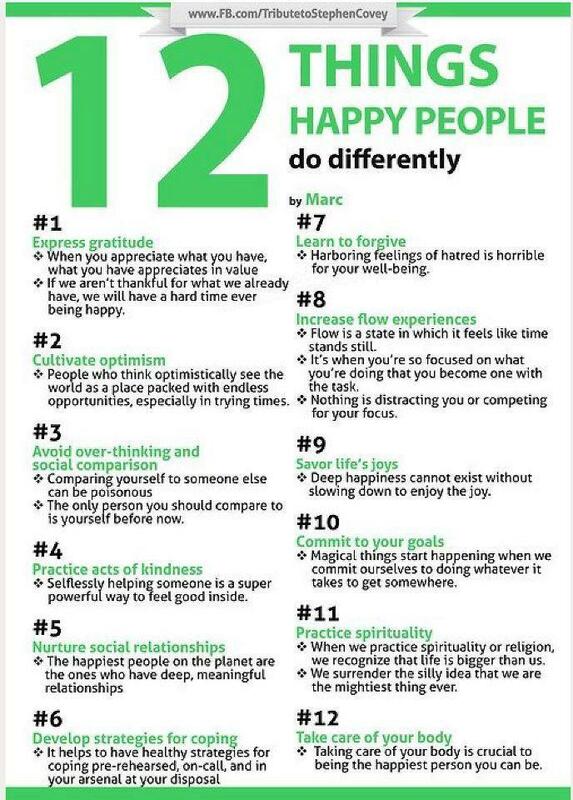 I’m blessed to have found such peace and joy after working hard to overcome.. And i too agree with these simple tools that happy people do. I’m all about those twelve tips. I love that you shared them. And your sweet little ones are simply precious. Isn’t it amazing what the gift of blogging gives us? Andee, you’re right – blogging is a pretty amazing world unto itself. And good for you – I’m sure it was hard work overcoming, and I’m glad you kept at it. Your own blog is so full of love, you are a great example! I love this post. It is so easy to get caught up in the day to day mania of it all, and forget to take the time to be thankful and happy. Thanks for the reminder to pause and be grateful. And your babes are stunning! Samantha, thank you for your words, and for your wonderful positivity in general! I got lost in your back posts about your son. I’m so sorry – I can’t imagine. It hit me even harder when I realized we’re probably in the same city (I live in Kitchener, Ontario) – sometimes the geographical distance of blogging helps me put emotional space between someone’s words and my feelings as well. Thank you for saying this – I found it so encouraging. It makes me feel crazy to be so thankful for my new, healthy baby who I didn’t believe would really make it until he did, yet tired and frustrated when he’s fussy. Azara, thank you so much for reading… it means a lot that you read those back posts. You’re right, we’re neighbours (I live in Guelph). Another thing I’ve learned: loss is loss, pain is pain. Especially when it comes to babies and baby-making. It’s all relative… and it’s also not relative at all. Am I making sense? I’m just trying to say that whatever we’ve been through, whatever pain we’ve felt, it has to be valid, whether or not it seems smaller or bigger than someone else’s. I’m glad you found those words encouraging. I did too, when I finally gave in to them. It must be true if so many of us feel it, right? So sweet1 That picture says happiness perfectly! SoupMama, that does sound rather insane. Especially since, in my mind, twins are a crazy undertaking to begin with! Kudos! Those children are beautiful, makes me happy just looking at their picture. I have a friend who was much like me several years ago, couldn’t seem to motivate himself to get out of a bad situation. I took one step, one more and then kept on walking until eventually, I don’t think I could be happier. He is still in the same situation. Sometimes, just taking one step can give you more happiness than you ever realized. Great post and great list. Thank you, Bill. I’m so glad you took those steps… I hope your friend might eventually follow your example.